Equipped with an oversized tourbillon carriage and Voutilainen's proprietary double escape wheels, the Tourbillon-6 is Voutilainen's first serially produced tourbillon, made in a limited edition of just six pieces. Kari Voutilainen had produced tourbillons in the past, in both wristwatch and pocket watch form, but those were all one-off commissions. 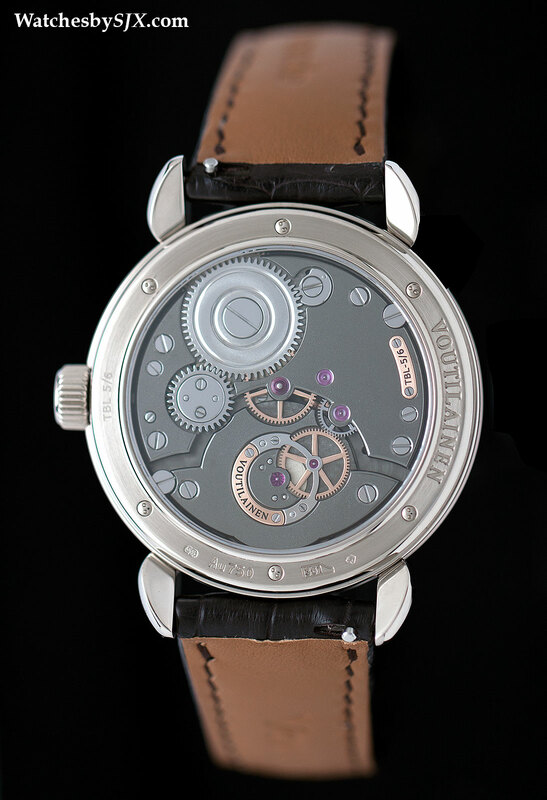 Only at Baselworld 2014 did the Finn present his first serially produced tourbillon, the Voutilainen Tourbillon-6. Featuring an impressively large tourbillon, it is equipped with Voutilainen’s own direct impulse escapement with dual escape wheels. And the movement decoration is of course sublime. 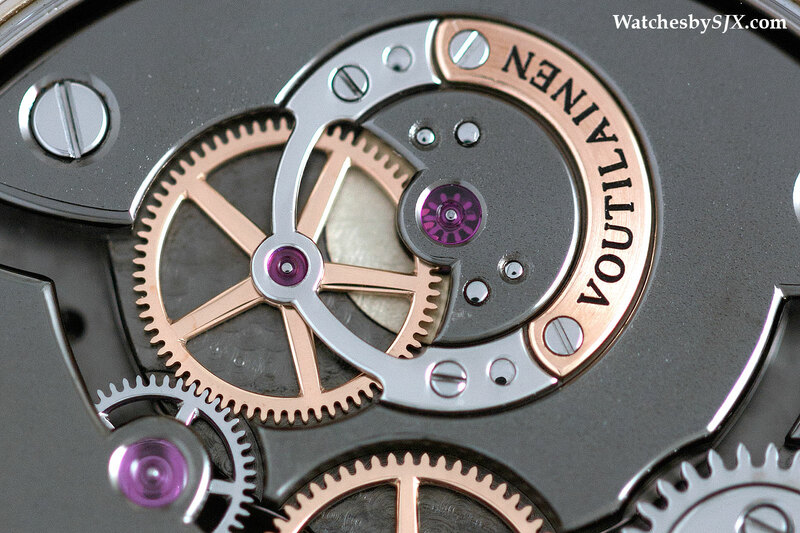 Visually, front and back, the aesthetic is classic Voutilainen. 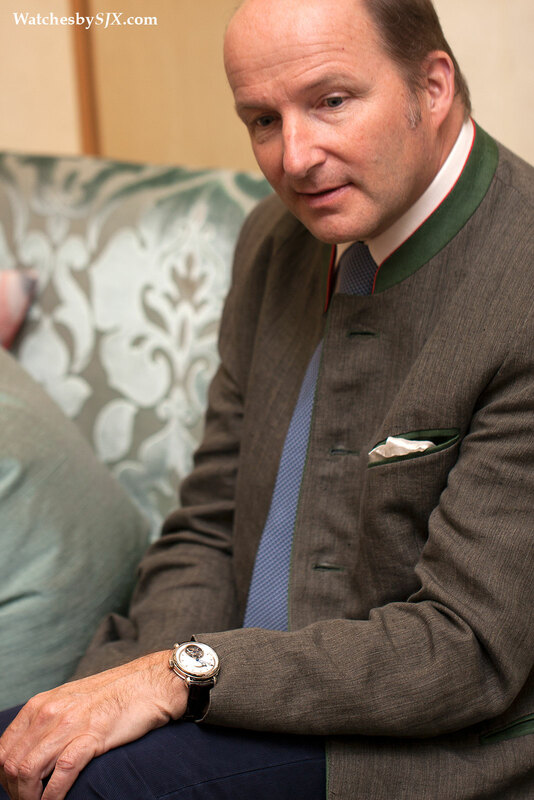 Though the dial with its short baton indices is simpler than the typical Voutilainen chronometer, he tends to favour Roman or Arabic numerals, it is still recognisable as his work. It is decorated with intricately executed guilloche, a barleycorn motif for the off-centre dial and hobnail for the perimeter, that is engraved on a rose engine by hand. 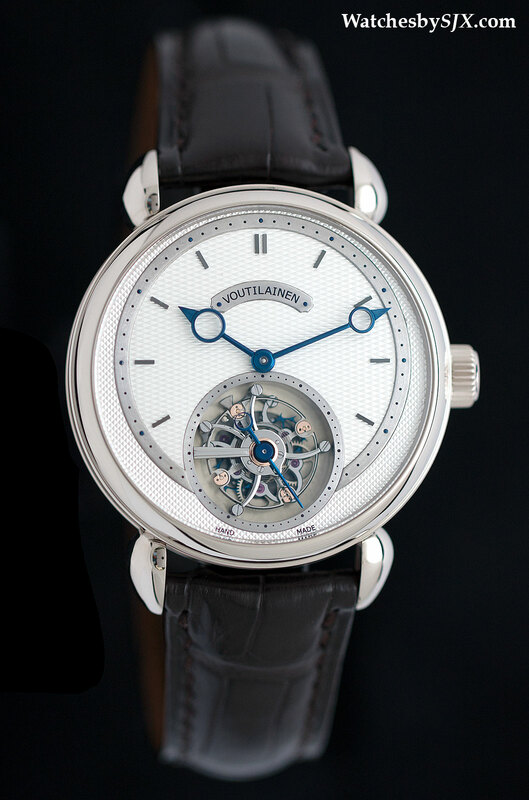 One of Voutilainen’s signature features are the Breguet style hands. These are made by hand (no pun intended), substantial in form and elegant in shape. At six o’clock sits the very large tourbillon. With a balance wheel measuring 11.5 mm in diameter, the Tourbillon-6 has an oversized tourbillon carriage that is nearly half the diameter of the 30.5 mm movement, necessitating an off-centred time display to accommodate the tourbillon. 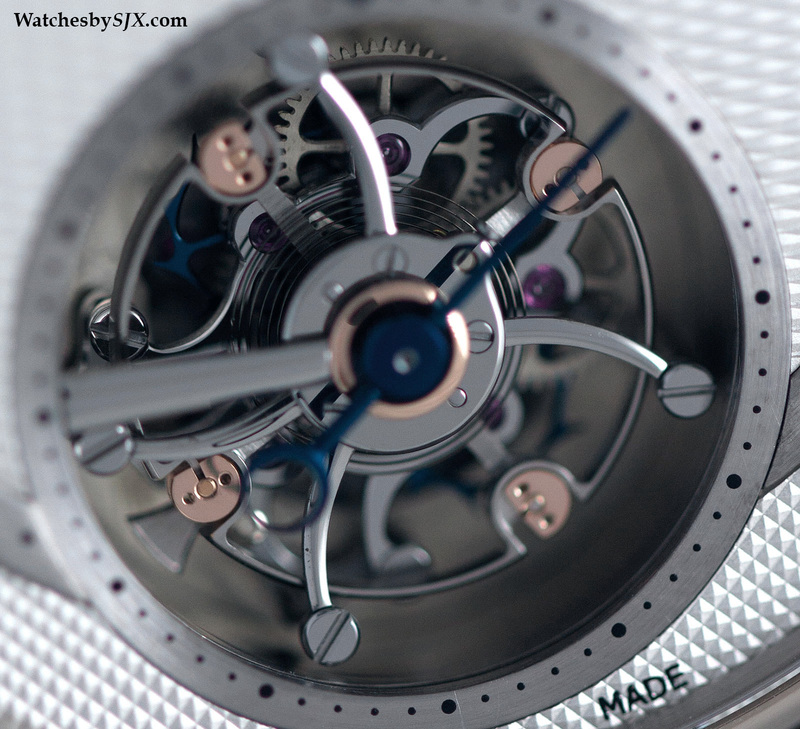 The resulting effect is similar to that found in Vacheron Constantin’s 14-Day Tourbillon, though not as pronounced. The tourbillon is equipped with Voutilainen’s own direct impulse escapement with twin escape wheels, similar to what is found on the Vingt-8 chronometer. And the balance wheel is free sprung, beating at 18,000 bph. 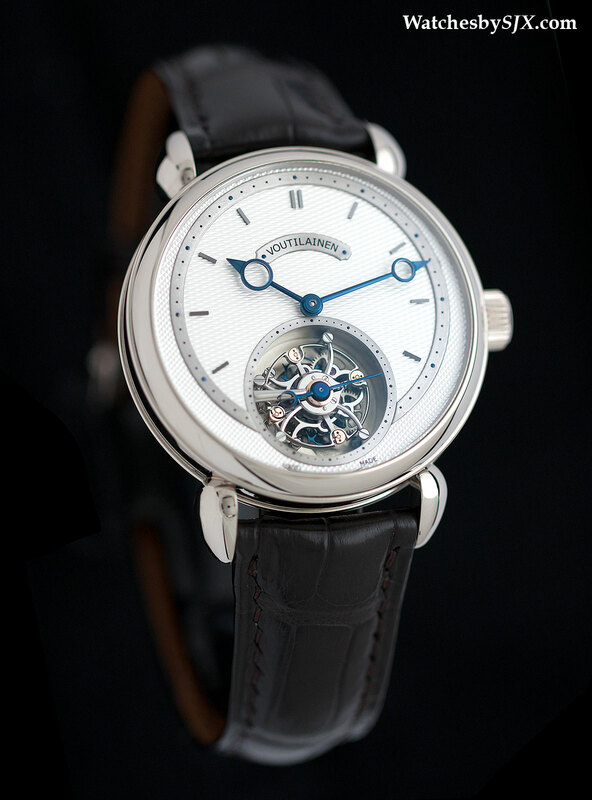 Unlike typical tourbillons with a bridge secured on two ends, the bridge in this case is a single arm on one side of the pivot, to give a better view of the tourbillon carriage according to Voutilainen. The decoration is impeccable, exemplified by the rounded tourbillon bridge and the similarly rounded carriage. Notice the mirror-like reflection of the seconds hand on the tourbillon carriage, the result of the speculaire or black polish. Naturally the reverse is equally well finished, though the dark grey coating on the bridges is a modern touch. To achieve this finish, the German silver bridges are frosted and decorated, and then covered with a ruthenium coating. 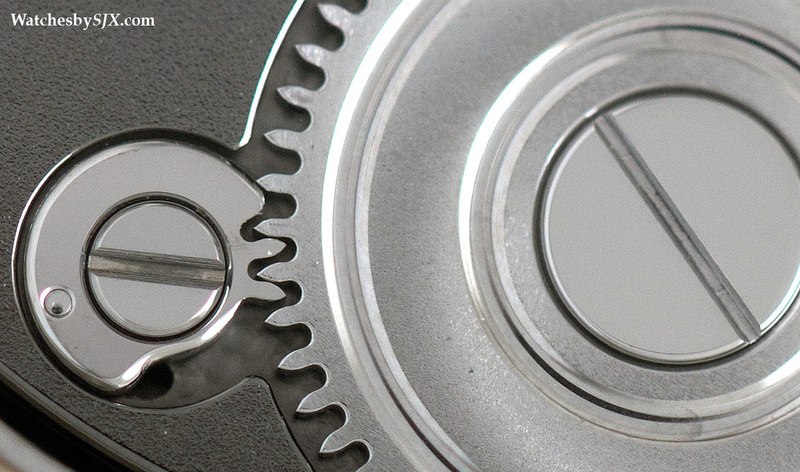 This gives strong contrast to the gears and wheels, some of which are in rose gold. Though the finishing is beyond reproach, the subdued colour of the bridges makes the finer details of the bridge finishing less obvious to the naked eye. Additionally, though angular lines of the bridges reveal the skill in bevelling the edges, they are large and reveal little of the movement below. 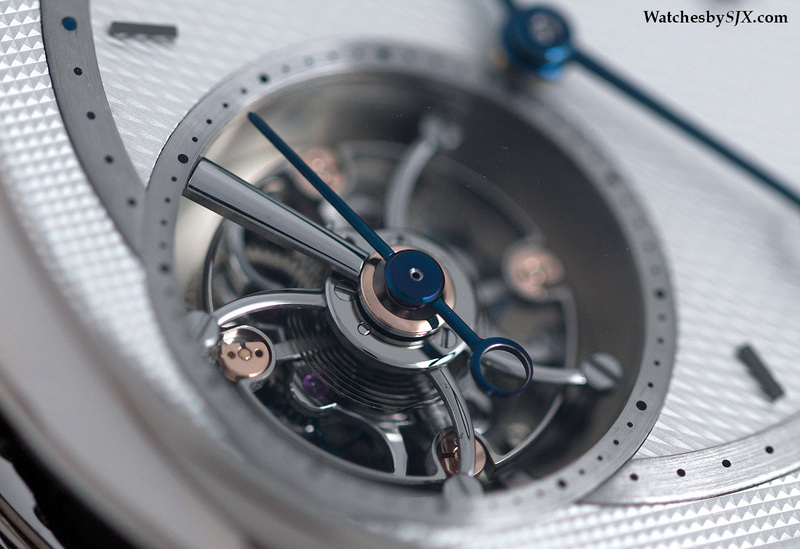 The Tourbillon-6 has a 39 mm white gold case with the teardrop lugs found on all Voutilainen watches. 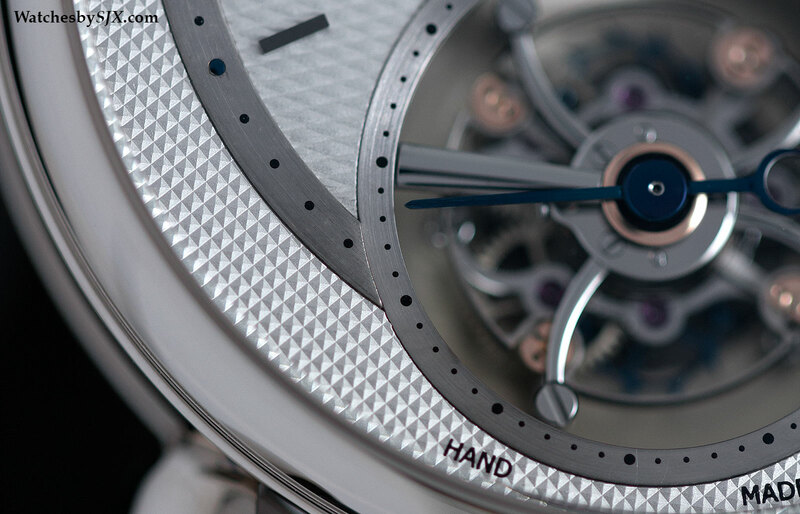 It is available in several dial colours, including the silver shown here as well as dark blue. Only six will be made, with a retail price of 220,000 Swiss francs, or about US$243,000.